Film actors and directors have for a number of years now had a high profile in speaking out about environmental issues. The Earth Communications Office in Los Angeles was a consortium of film directors, producers and actors using their position to raise environmental awareness within the industry and to make the industry more environmentally sustainable. Prior to the Copenhagen Climate Change Conference in 2009, the Oscar winning actress Cate Blanchett spoke at the World Business Summit on Climate Change, to persuade world business leaders to go beyond mere rhetoric in pushing for action on climate change. Hollywood isn’t renowned for making the environment a major storyline with perhaps the exception of the disaster blockbusters, like The Day after Tomorrow and 2012 when humanity is pitted against the environment. 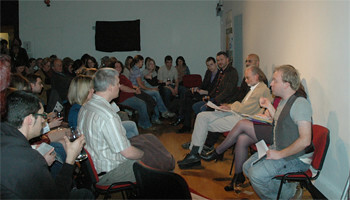 However, while The Day after Tomorrow was a box office hit, many questioned its scientific basis and so rather than raise awareness about climate change, provided sceptics with the opportunity to challenge climate change science. Small independent films have tackled environmental issues with more success, particularly films like An Inconvenient Truth and the Age of Stupid. This is not to say that film has not addressed topical environmental issues in the past, just think of Julia Roberts as Erin Brockovich challenging big business polluting the environment. 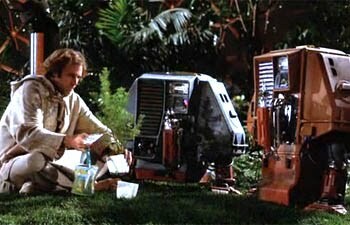 Silent Running was one of the first films with an environmental message. It was produced at a time when the international community were beginning to legislate some of the early international conservation conventions; for example for wetlands (RAMSAR) passed in 1971 and the Convention on International Trade in Endangered Species passed in 1973. Like many other films, the future view of the earth is one where people either live in domes away from nature (Logan’s Run) or have left or need to leave the earth (Wall-E or Red Planet). So the question is how accurate is their future premonition of nature disappearing? In 2002, governments pledged to reduce the rate of biodiversity loss by 2010, but the pledge has not been met and some analysts suggest that nature loss is accelerating rather than decelerating. In 2004, the International Union for Conservation of Nature (IUCN) created shock waves with its major assessment of the world's biodiversity, which calculated that the rate of extinction had reached 100-1,000 times that suggested by the fossil records before humans. Some biologists contend that we are in the middle of the Earth's sixth great extinction - the previous five stemming from natural events such as asteroid impacts. Scientists now predict that humans are driving animals and plants to extinction faster than new species can evolve. Also in 2004, the Millennium Ecosystem Assessment, the work of over 1,000 scientists, demonstrated the rapid decline in all major ecosystems around the world, highlighting that they no longer had the capacity to support human industry and food production indefinitely. This is significant because genetic diversity in terms of an ecosystem is an indicator of the health of that system and its potential to survive. At least 40 per cent of the world’s economy and 80 per cent of the needs of the poor are derived from biological resources. Increased opportunities for medical discoveries (from genetic resources), economic development (from e.g. raw minerals, water) and adaptation to climate change (forests as sink hubs) all derive from our biodiversity being extensive and healthy. As natural systems such as forests and wetlands disappear, humanity loses the services they currently provide for free. These include purification of air and water, protection from extreme weather events, and the provision of materials for shelter and fire. A large on-going UN-sponsored study into the economics of biodiversity suggests that deforestation alone costs the global economy $2-5 trillion each year. The intention behind this study is the hope that by identifying the economics of ecosystems and biodiversity, governments will be encouraged to devote more funds to conservation. However, at present every day our planet loses more and more species, meaning that the extent of its biodiversity is constantly in decline.